Are you a beginning bridge player who would like to learn how to play bridge competently, just like your partners and friends? Or, are you already playing bridge and would like to improve your game and play better at your local club, or even just with your friends? Logging online any-time and being able to practice how to bid in bridge without having to wait for weekly classes or meet-ups. Practising a hand and being given immediate feedback on how you could improve your playing. Having access to hundreds of flashcards and several interactive tutorials that can take you from being a mediocre player to a better player. 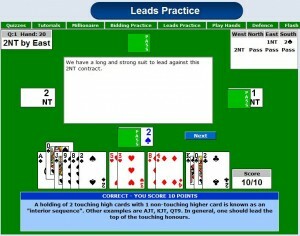 learn to play bridge online. Everyday thousands of people just like you are learning to improve their bridge playing on the Internet using interactive learning activities. It doesn’t matter if you’re a complete beginner, an improver or even an advanced player, you too can learn to improve your bridge playing online. And you don’t need to be a computer superstar either to get started. All you need is your Internet connection and very basic computer knowledge – in fact, just knowing how to browse the Internet is enough! So how and where can you start to learn how to play bridge online? No Fear Bridge UK is absolutely the number 1 site for learning to play acol bridge online. 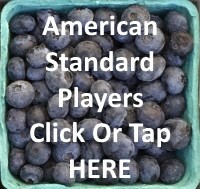 No Fear Bridge US is absolutely the number 1 site for learning to play American Standard bridge online. What Does The No Fear Bridge Sign Up Page Look Like? No Fear Bridge UK sign up page. Just answer a few short questions and choose a username. No financial details are taken. 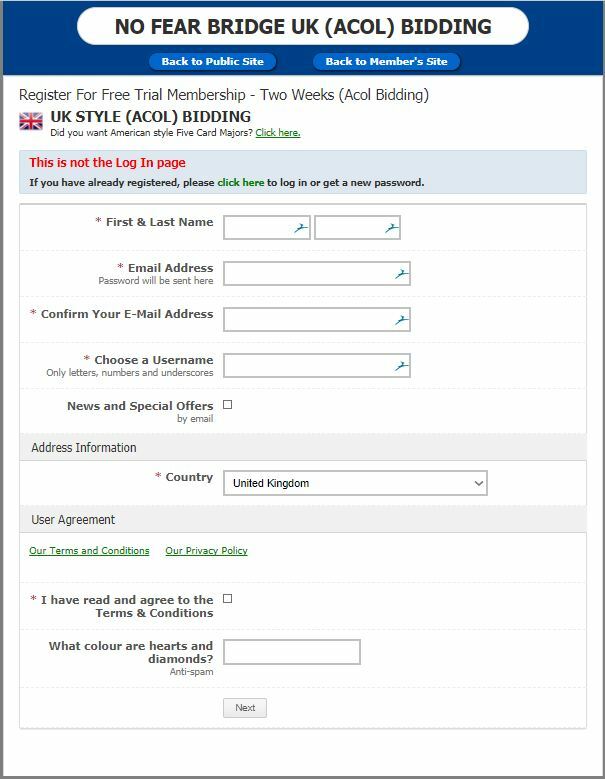 Agree to the T&Cs and then click on Next to start your free trial. No Fear Bridge US sign up page. Just answer a few short questions and choose a username. No financial details are taken. Agree to the T&Cs and then click on Next to start your free trial. First, you can get started Absolutely FREE! With no obligations. That means nobody will be looking for your credit card details or your personal details. Second, No Fear Bridge is created by Leigh Harding (an experienced bridge teacher) who knows that once you’ve tried her interactive activities, tutorials, flashcards and more, you’ll be hooked! But don’t just take my word for it … how about trying a hand of the day? Or having fun with a millionnaire quiz. Or learning with an interactive bridge bidding tutorial. Or studying with the help of on-screen flash cards? At No Fear Bridge, as well as bidding practice, you’ll be watching tutorials on each aspect of playing bridge, taking quizzes and working through flashcards to help you become an accomplished bridge player in no time at all. You’ll be charting your progress with your personal progress chart and learning with the fun millionnaire quizzes. Still Not Convinced That You Can Learn How To Play Bridge Or Significantly Improve Your Bridge Playing With No Fear Bridge? Bidding practice at No Fear Bridge is interactive. Each time you choose a topic you will be given a selection of 12 hands to practice bidding. If you choose an incorrect bid, you’ll hear audio feedback explaining why your choice was wrong. Challenge yourself to bid all the hands correctly. You can come back and try as often as you need to . Before you know it, you’ll find you can bid all the hands correctly and your confidence and skills will be abundant! Bridge bidding includes topics for all levels … beginners, improvers and advancers so whatever your ability you’ll be challenged to improve your skill level in a fun and interactive way. Losing Trick Count. What is it? How and when should you use it? 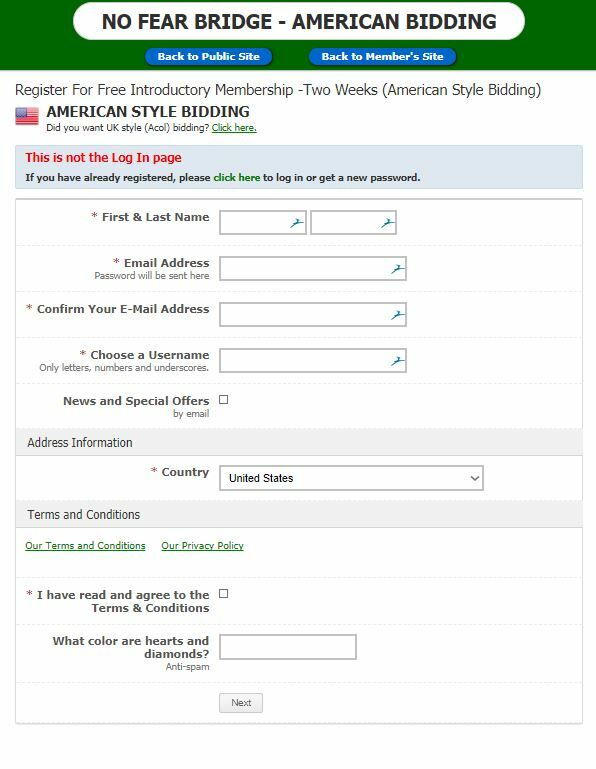 Stayman Bidding – Learn how and when you should use it and what this convention can tell you about your partner’s hand. No Trump Rebids – improve your understanding. Fourth Suit Forcing Learn its significance. Flash cards are a fast, fun and easy way to learn. Transfers, Stayman, Responders 2nd bid and 4th suit forcing. You get to choose from hundreds of multiple choice quizzes on a whole range of topics for beginners, improvers and advanced players. Your quiz is marked instantly AND you get to review feedback for wrong answers. Do you know how to decide which card to lead with? Don’t worry, with over 400 hand for you to practice with, you’ll soon master it. If you select an incorrect or inferior lead you will receive instant feedback. The ultimate challenge. Be points rich! Can you score a million points on your chosen topic? Topics include Stayman, No Trumps. You have two weekly quizzes to choose from. When you can consistently answer 20/20 questions correctly in the regular weekly quiz, move on and try the harder quiz. Who knows, before long you may even top the weekly leader board? No Fear Bridge Is All About You Learning How To Play Bridge And Becoming A Better Bridge Player By Focusing On The Exact Skills You Need To Improve. At No Fear Bridge, you see your progress in the weekly quiz plotted on your own personal progress graph. In no time, you’ll be amazed as you watch your skill level rise. And before long you’ll be playing bridge with more confidence and ability than you ever thought possible! Challenge yourself with some Advancers Hands. Practice some defence hands. There’s something for everyone at No Fear Bridge. New topics are added regularly so you’ll always find something fun and challenging to help improve your bridge play. If you find after two weeks that your bridge playing knowledge and skills have not improved you simply allow your trial membeship to lapse. There is NO OBLIGATION and NO CREDIT CARD DETAILS are taken unless you decide to take a full, paid membership. 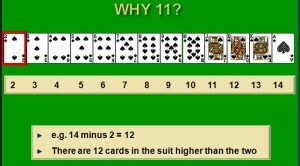 And finally, yes really, if you still need convincing, there are some great health benefits of learning to play bridge. So there really is no excuse! I have every faith that you WILL improve your skills with No Fear Bridge. Here’s to your growth and success at Bridge! 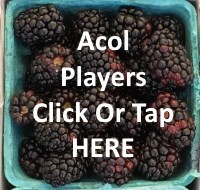 We can help you play Acol bridge or American standard bridge. – If you are being taught to open the bidding with a 1NT bid holding 12 – 14 points, you are learning Acol bridge. – If you are being taught to open the bidding with 1NT holding 15 – 17 points, you are learning American Standard bridge.